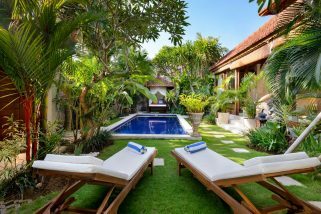 Guest would love the spacious compound, complete with a private pool, sundeck, poolside bale, lovely tropical gardens and lounge chairs. 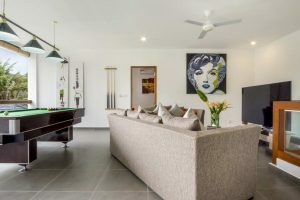 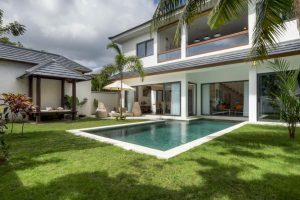 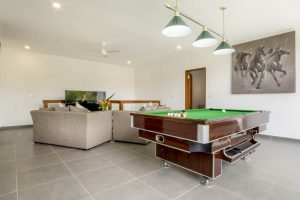 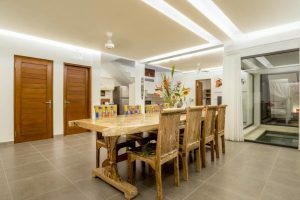 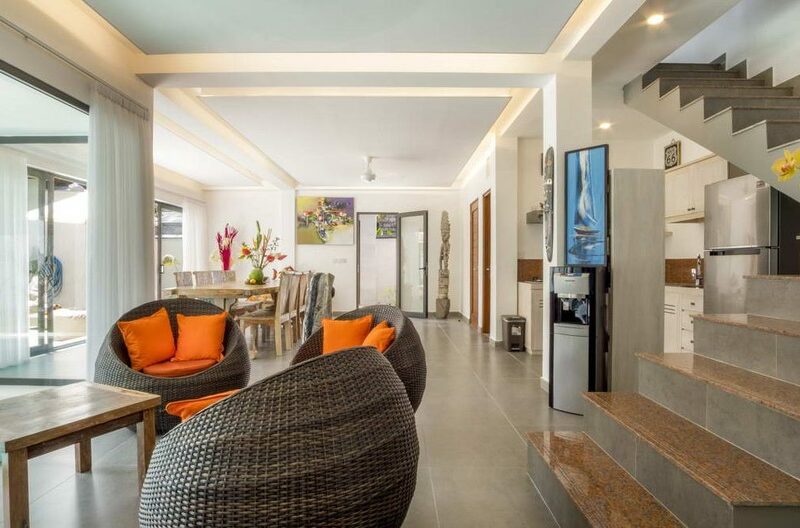 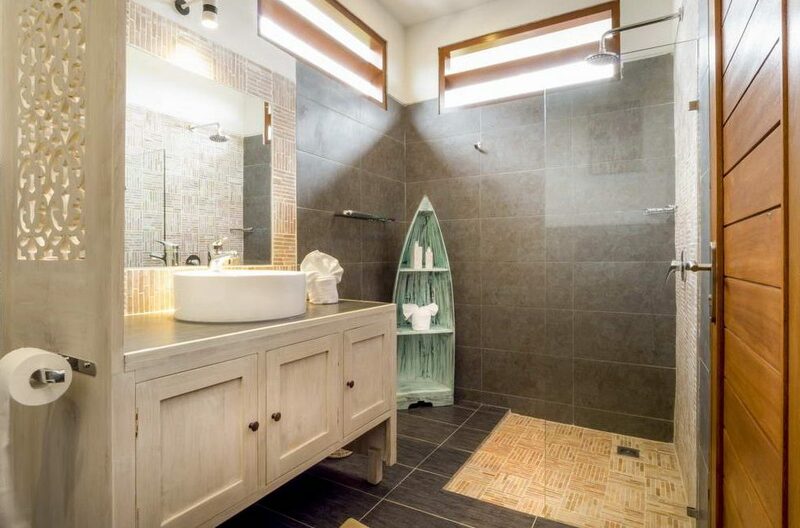 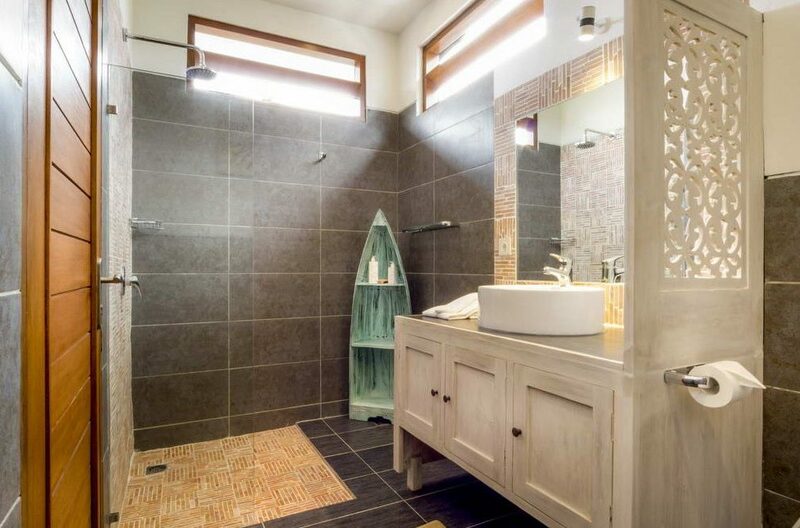 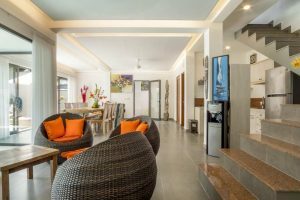 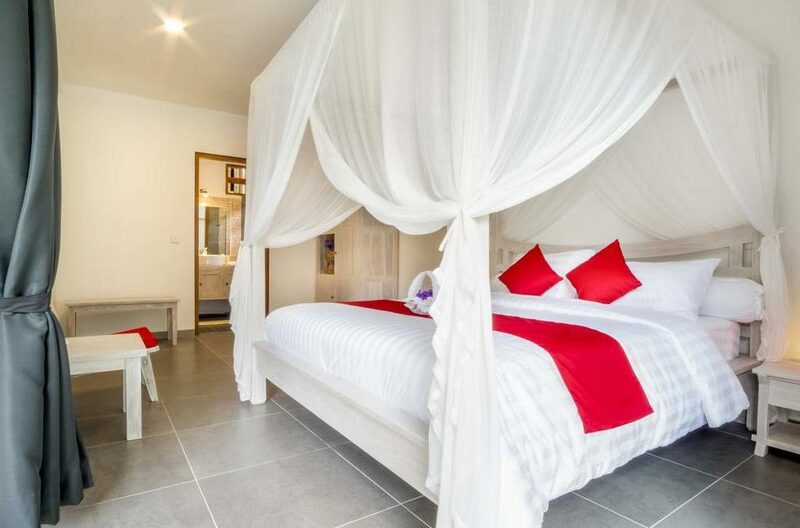 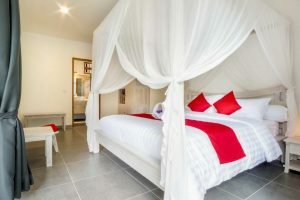 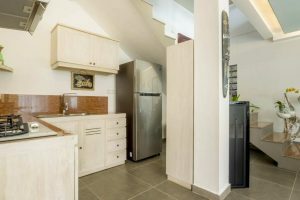 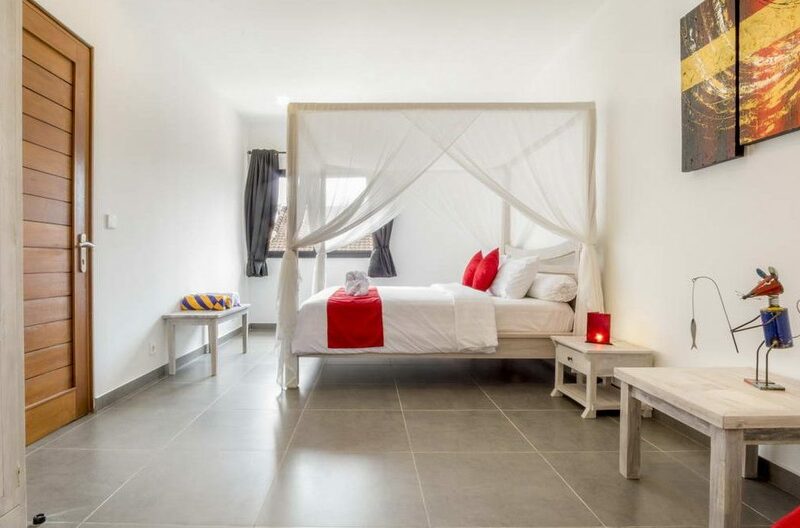 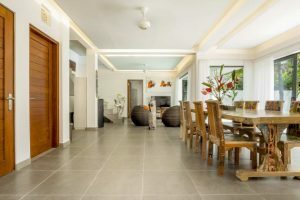 Also, the villa has a beautiful open plan living area which is fully furnished with comfortable sofas, flat screen satellite TV and easy chairs. 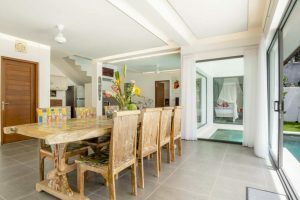 There is also an adjoining kitchen and dining area, ensuring the comfort of guests. 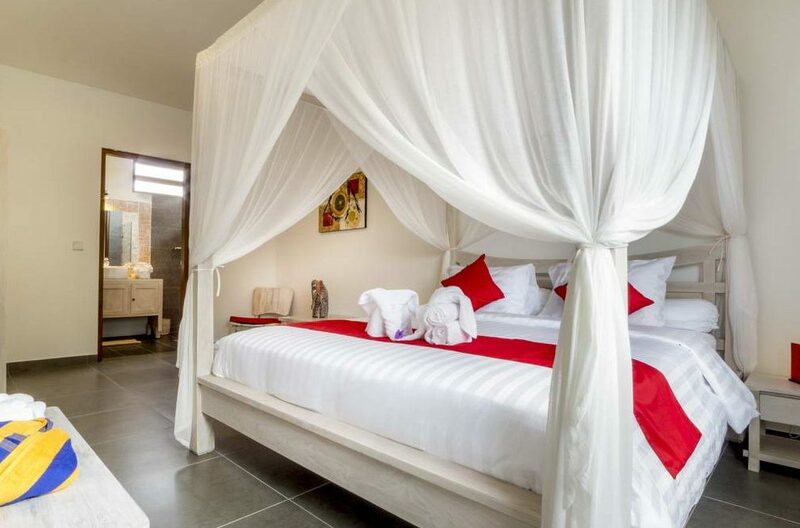 The bedroom of Villa Wiana is quite stunning. 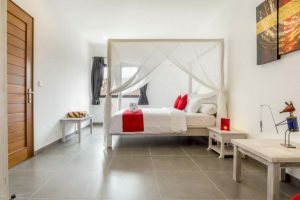 It is furnished with a king bed and has an ensuite bathroom. 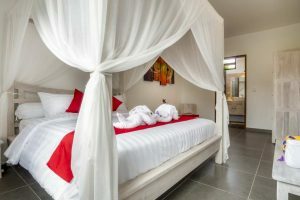 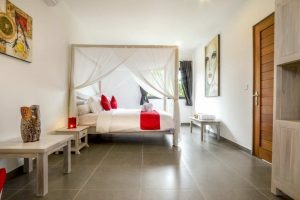 Guests have all the facilities they need to be comfortable and also have a beautiful view of the garden and pool from the bedroom. 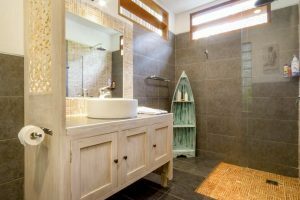 To add to the comfort of guests, there is daily housekeeping, a villa manager, pool and garden attendants who are at hand to ensure your stay goes off without a hitch. 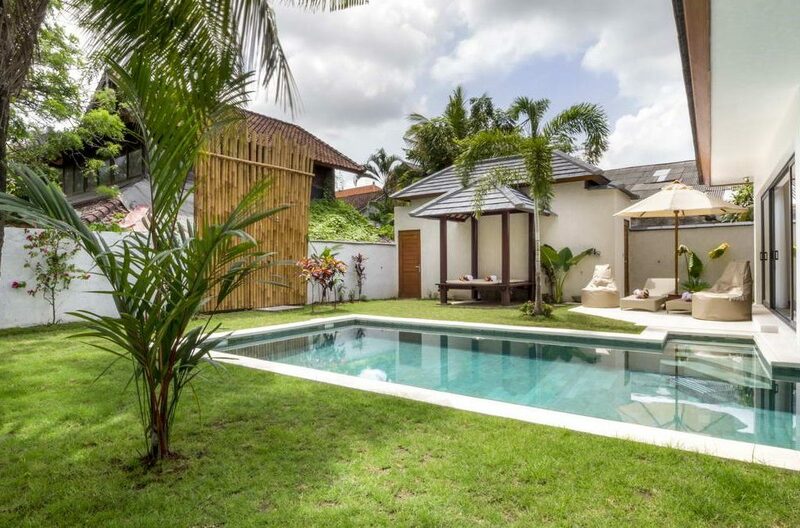 Staying at Villa Wiana, guests are never at a loss of where to eat, where to go or things to do as the villa is right in the heart of the city. 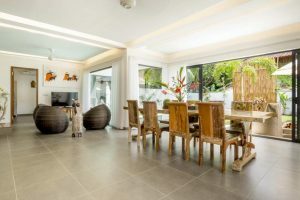 Restaurants such as Nalu Bowl, Made Warungs and all those great restaurants in Eat Street are close by. 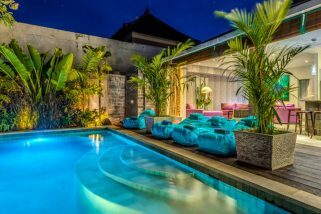 Bali Joe bar and La Plancha are great bars for cocktails and the villa is close to the beach where there are beach clubs such as Azul and Cocoon. 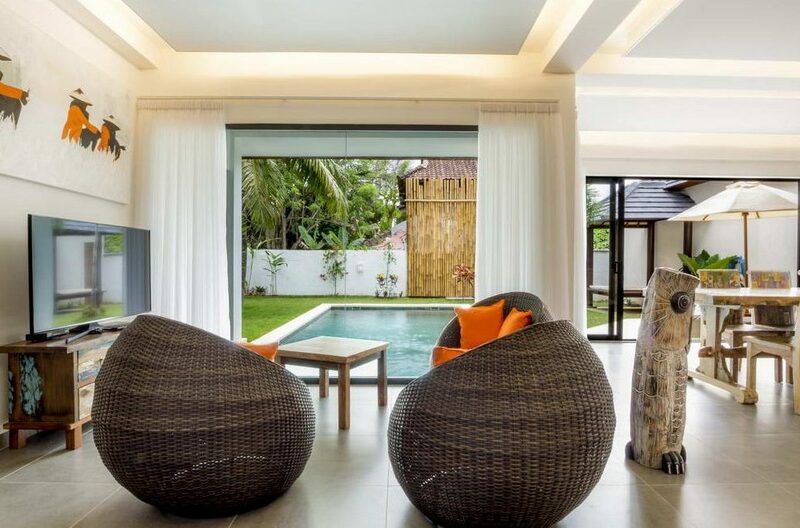 Your holiday is guaranteed to be an unforgettable experience while staying at this villa. 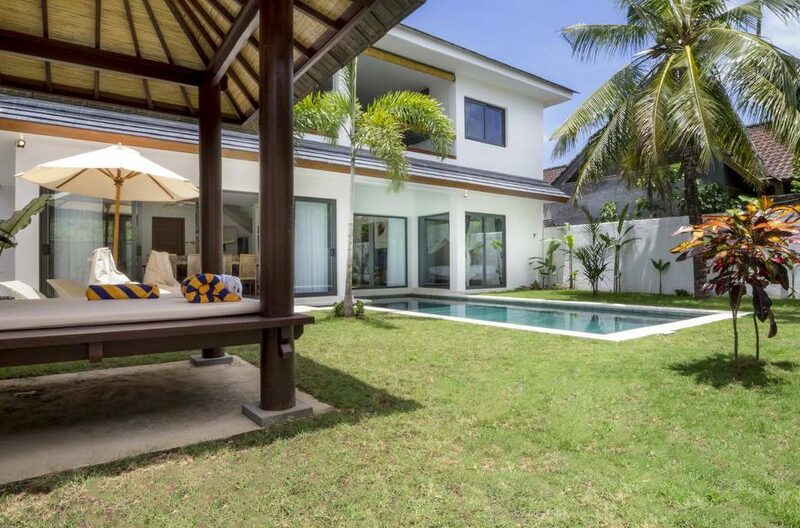 A short 5 min walk from the hub of Seminyak’s bustling ‘Eat Street’, is where you will discover the exclusive private villa estate, Nunia Villas. 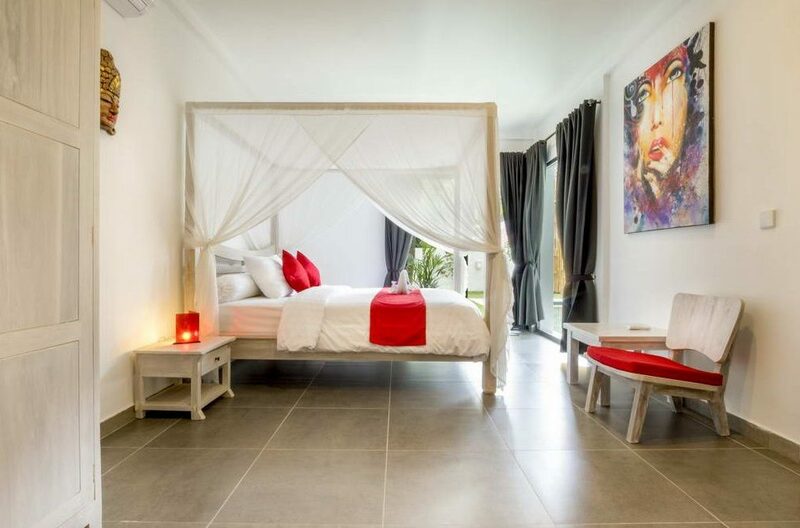 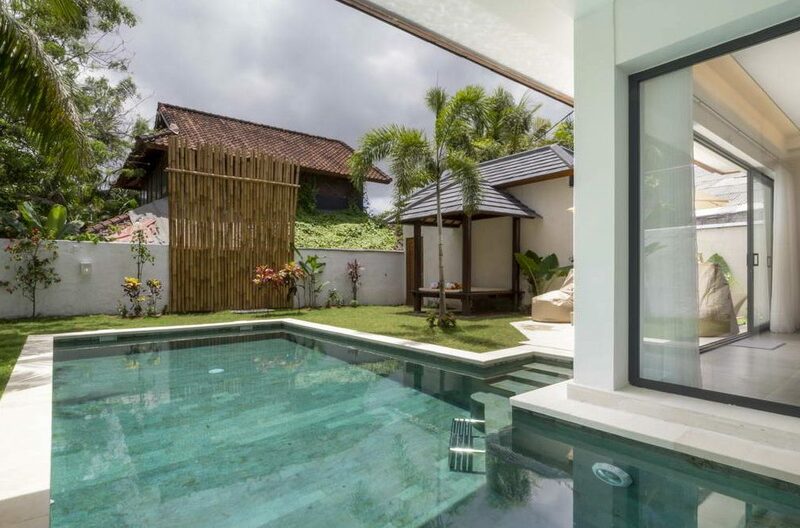 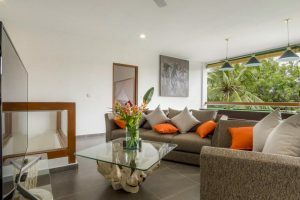 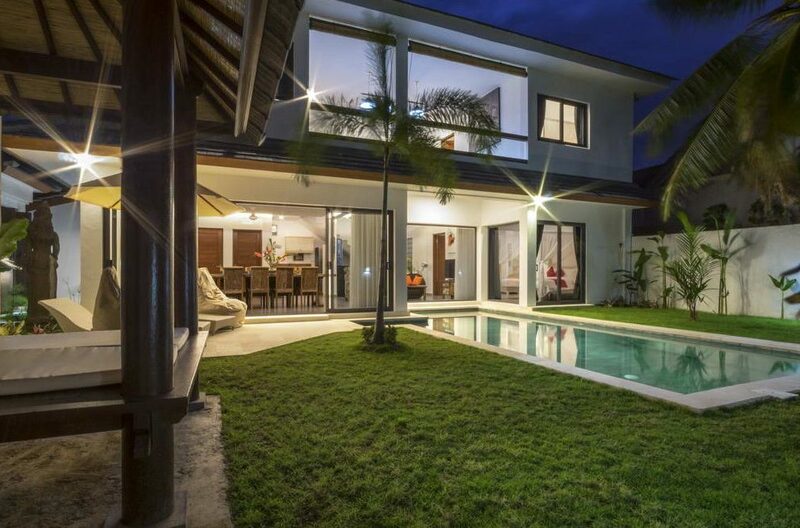 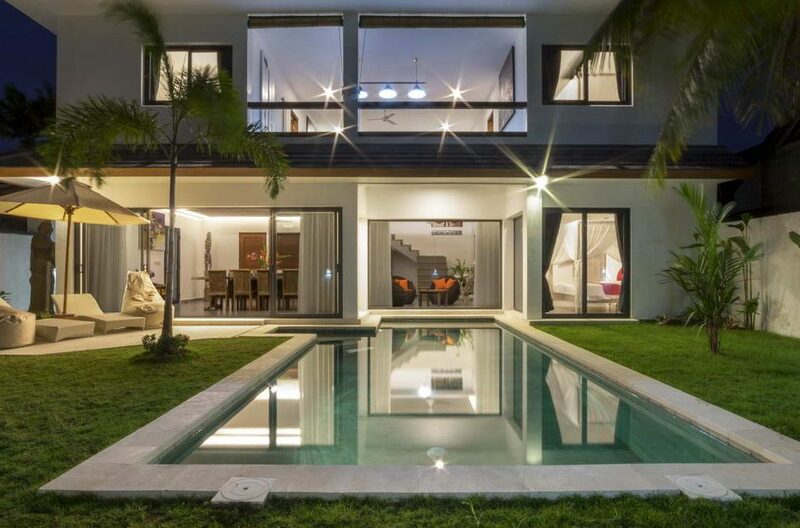 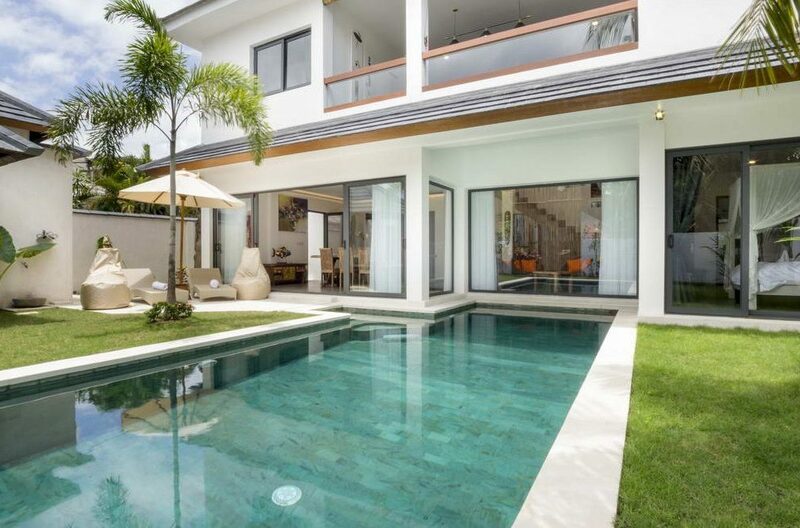 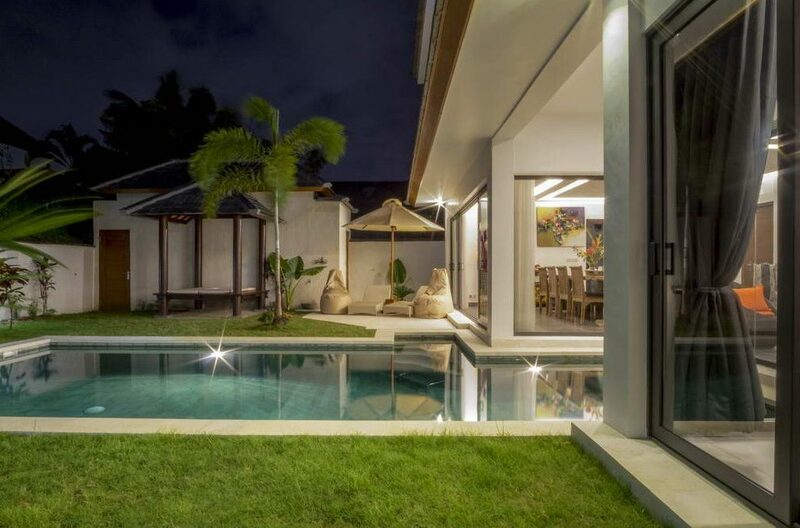 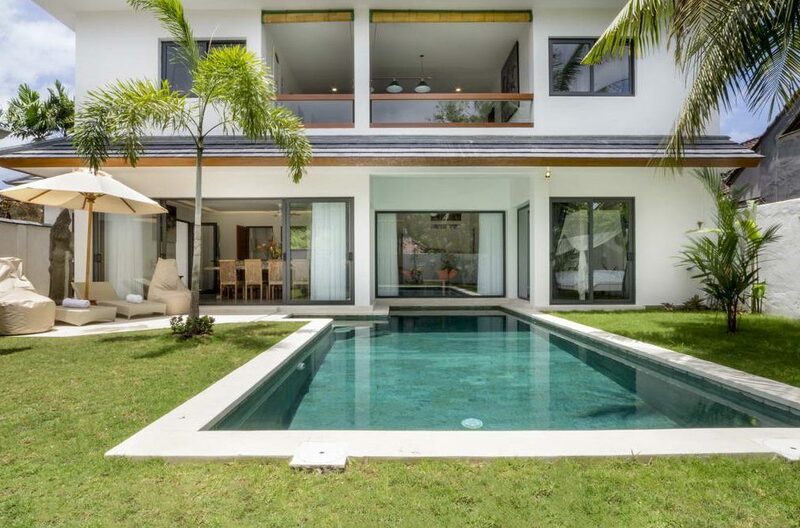 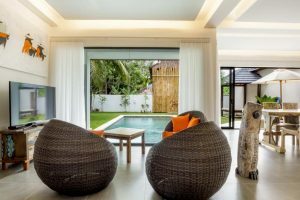 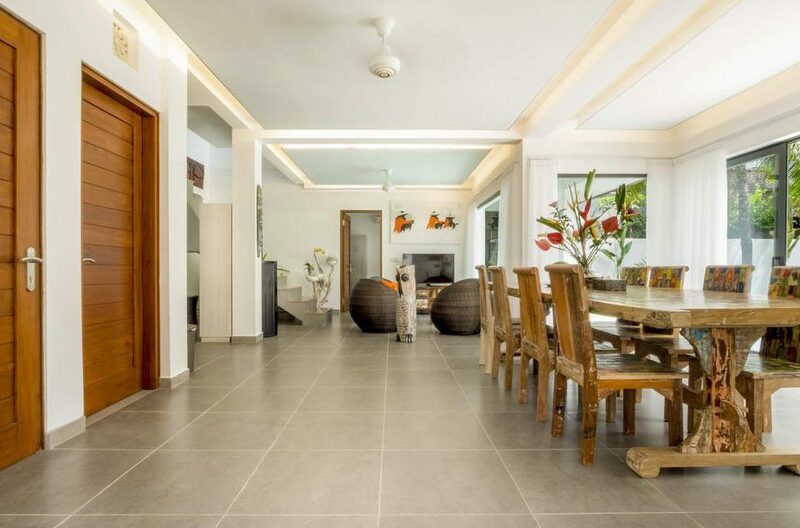 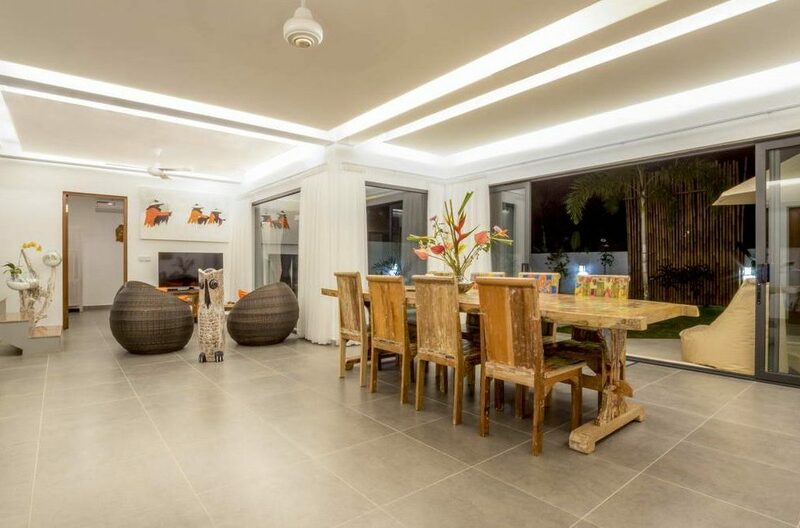 This uber-chic contemporary 4 bedroom villa is located in the centre of stylish Seminyak, just a few minutes’ walk from Jalan Oberoi, and delivers the ultimate tropical holiday home with every comfort and luxury possible.